A year after the ‘defeat’ of the Islamic State Jihadist organization the group is witnessing a revival, according to the U.S. Department of Defense. The organization succeeded in maintaining a significant force of 30,000 armed terrorists who are in control of less than one percent of the territory of the self-proclaimed Caliphate in both Syria and Iraq, but it is “re-emerging as a guerilla force that is returning to its insurgent roots” the Pentagon warns. This weekend, ISIS terrorists in eastern Syria managed to stave off an offensive by the US-backed Syrian Democratic Forces (SDF) against the town of Hajin, the group’s last stronghold in the eastern Syrian desert near Deir Ez-Zur and re-capture parts of the town. The SDF offensive against ISIS’ last strongholds in eastern Syria has been going on for three months and has caused most of the civilian population of Hajin to flee via safe passage corridors created by the Kurdish-dominated militia. The US-led coalition against Islamic State has already carried out 1000 airstrikes on Hajin, but the Jihadists are not willing to surrender and have vowed to fight to the death. Using scores of suicide bombers, the Jihadists succeeded in chasing the SDF out of some neighborhoods of Hajin, which had been already seventy percent liberated by the American-backed force. Elsewhere in Syria, the pro-Assad coalition is slowly advancing against what the Arabs call ‘Daesh’ an acronym for ad-Dawlah al-Islāmiyah fī 'l-ʿIrāq wa-sh-Shām (the Islamic State of Iraq and the Levant). In the Sweida Province, also referred to as the ‘Druze Mountain’, Assad’s forces are steadily eliminating the last ISIS hubs after routing Islamic State in the Yarmouk Basin a few months ago, but the Jihadists continue to stage suicide attacks. In Iraq, Islamic State has succeeded in maintaining footholds in the desert in the Anbar Province and its fighters continue to stage attacks on the Iraqi army and the predominantly Shiite militia Hashd al-Shaabi. The Jihadis have also established “a mountain state” in Qara Chokh, an uninhabitable area in the most northern part of Iraq. Islamic State terrorists are living in caves in what locals call ‘Kandahar,’ the Afghan Province famous for gruesome violence and its support for Jihadist movements such as Al-Qaeda. The Institute for the Study of War says that ISIS maintains similar ‘bases’ in other parts of Iraq such as the Hamrin Mountains in Diyala Province, the Hawija District, and eastern Salah al-Din Province. 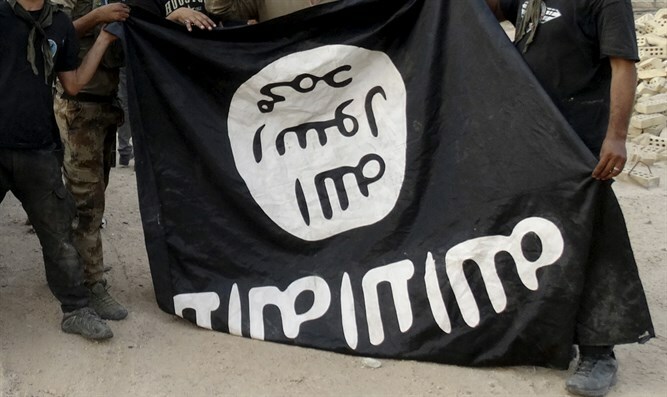 In Mosul too, ISIS is still active but reportedly lost its main communications channel this weekend when Iraqi security forces arrested a senior ISIS leader, who was in charge of spreading the Jihadist ideology of the organization among the Sunni population of the city. ISIS is also restructuring its command and is now relying on non-Iraqi commanders after most of its local brass was eliminated by Iraqi security forces and the US-led coalition. The Long War Journal, meanwhile, reported that ISIS cells carried out 659 operations during a six-week period in September, October and November 2018 killing a staggering 2,770 people in multiple suicide bombings as well as targeted assassinations and attacks with improvised explosive devices. In Nigeria, for example, ISIS cells - and not its affiliate Boko Haram - were responsible for a spate of deadly attacks against the Nigerian army, killing 118 soldiers by the end of November. The organization’s Al-Taqwa Media Foundation last week started to publish new inciting material, including animation videos depicting a burning capitol building and abandoned military vehicles as well as civilian cars - as ISIS terrorists raise their black banner. O Crusaders, you have realized the danger of the Islamic State. But you did not know the treatment, and you will not know the treatment, because there is no treatment! By fighting it, it gets stronger, and by leaving it, it blooms and stretches more." "While Trump promised defeat of the Islamic State, Obama has lied before and our Lord -- the Almighty -- promised victory, and here we are. This campaign is your last campaign, and it will fail by the permission of Allah. As all your campaigns have been broken before and failed, but this time we are going to invade you, and you will never invade us ever," ISIS warned in the video. A poster released by Al-Taqwa depicted a destroyed house with crows circling in the air above the structure. ISIS issued similar inciting material ahead of the attack in Melbourne, Australia, when a restaurateur was killed in a stabbing attack. More than 17 years after the United States, and eventually other Western countries, started to combat what was first called “terror” after the Al-Qaeda attack on the U.S. on September 11, 2001, the number of Jihadists in the world has risen significantly, not decreased, a recent study found. The number of Islamist radicals has risen by a staggering 270 percent since the Ql-Qaeda Attack on the Twin Towers in New York and stands now at 230,000, while they reside in no less than 70 countries across the globe. The report by Center for Strategic and International Studies (CSIS) warns that the Salafi Jihadists are “far from defeated” and suggests that the military effort to eradicate the Jihadist groups in the world is “failing”. CSIS says that it has been a mistake to focus on a military campaign only and makes the case for “improving local governance in territories where Sunni Islamism is rife”. “The US and its allies continue to engage “in a seemingly endless [military] confrontation with a metastasizing set of militant groups, they face seemingly endless waves of militants, who are becoming increasingly capable of resisting Western conventional military force,” according to the bipartisan CSIS report.